Dog training takes time and effort. To be successful, use these dog training tips: Be a leader, be firm, be humane and give praise. Dogs are social, pack-oriented animals who respond best to a leader figure whether dog or human. The best pack leaders are the ones who are the most consistent. Dogs react to consistency because they know they can trust the consistent leader. Consistent leaders don’t invite the dog onto the couch one day and punish him the next when he jumps on the couch without permission. Good leaders are firm without being harsh. A good leader tells the dog to do something. He or she doesn’t shout at the dog, plead with the dog or scream at the dog to obey. The punctuation at the end of a good leader’s command is merely a period. Third, a good leader is compassionate. He or she doesn’t punish the dog for mistakes that were made by the leader. When the dog does something praiseworthy, deliver approval immediately. The good leader does not praise behaviors that are unwanted, no matter how unintentional the recognition may be. 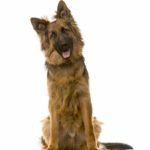 If the dog is showing fear, aggressiveness, or timidity, the good leader either ignores the behavior or tells the dog to knock it off. 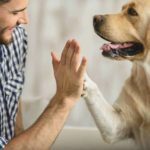 The good leader doesn’t praise, and, therefore, encourage the response, by stroking the dog, telling him it’s OK, you’re a good boy, etc., while the dog is acting out. 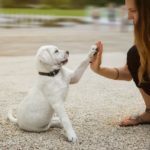 Use the five tips in this beginner’s guide to dog training to efficiently and effectively build a loving bond between you and your dog. 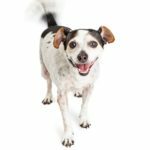 As a responsible pet owner, use essential dog commands to mold your canine companion into a well-behaved and well-disciplined member of your family. 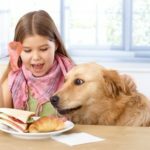 To improve your relationship with your dog, use training, spend lots of quality time and feed him healthy food and treats. Interrupt dog misbehavior immediately and firmly. 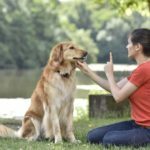 Give your dog simple and clear directions so he understands what you want him to do. And make your praise loving and sincere. 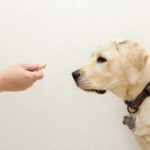 If your dog is no longer food motivated for training sessions, improve the quality of your treats or offer your dog other rewards like bully rubs. 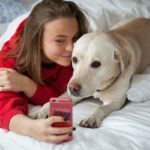 Should you let your dog on the furniture? Letting your dog on furniture won’t make him more aggressive. 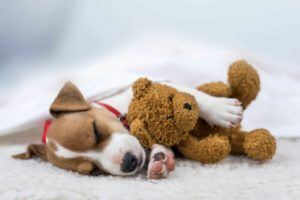 Make sure your dog is well-trained and furniture is big enough for everyone to be comfortable. 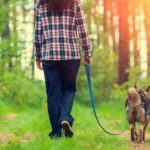 To stop dog chasing, know your dog’s triggers, trust your dog’s restraint, train your dog to stop bad behavior and reward him when he gets it right. Dogs are keen observers, and devious opportunists! It’s instinctive and it’s how they survive when they are on their own. It’s also why a dog steals food. 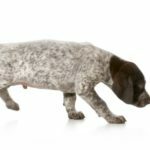 Tail biting is most often found in dogs that have a high prey drive, don’t get enough exercise or spend too much time in their crates. 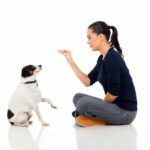 Dog training essentials: Be consistent, be firm without being harsh, be humane and give appropriate, well-timed praise to help develop a well-behaved dog. 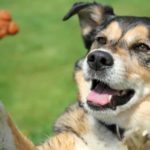 Reward your dog quickly for good canine behavior using time playing with you, occasional treats or special toys so you can reinforce good behavior.